Union Public Service Commission, the central examination body is responsible for the conduct of various examinations across the country. Among the several exams conducted by UPSC, the examinations focus on filling the posts for higher government posts like Civil Services, Forest services and many. Let’s move to info on these examinations conducted by the UPSC. Indian Civil Services Preliminary Examination is being held in the month of May while the mains examination of this section is held in the month of October and November. This exam is one of the exams which gathers highest attention in the country. The notification of this examination usually comes in the month of November and December in the previous year. Indian Forest Examination, one of another examination, which holds a much high reputation in the country is held in the month of July by UPSC. The notification of this examination usually comes in the month of February and March. The Indian Engineering Services which are for the engineering graduates is being held in the month of June and July. The Notification of this examination usually appears in the month January and February each year across the country. The Geologist Examination is the one which is being held for the two posts, one for the posts in Geological Survey of India and the other in the department of the Central Ground Water Board. The conduct of the examination is in the month of November while the notification comes in the media in the month of month of June. SCRA exam is being held each year in the month of July. The notification each year appears across the country in the month of February. CDS exam is being held twice a year in the months of February and August while the notification for these examinations comes in the month of August and March for respective scheduled examinations. NDA examination for the entry into the Indian Army, Indian Navy and Indian Air Force is being conducted each year in the month of April-May and September-October i.e. twice a year. The notifications for these exams come in the month of October-November and April-May for the respective exams. Combined Medical Services examination, which is being held in the month of January while the notifications for the examination usually get into the highlight in the month of August. Indian Statistical Services examination is being conducted each year in the month of November. In the month of June, the notifications for the examination appear across the country. The conduct of the examination is being arranged in the month of December while the notification usually appears in the month of July each year. The Assistant Commandant or the Central Police Force Examinations are being held each year in October. The notifications for the exams and the application form come in the month of May. Thus, we noticed that UPSC is engaged throughout the year in the conduct of the various examinations for the various departments and posts. We can notice from their working procedure, about the hard work done by the UPSC in filling the posts for the government sectors. The students are given opportunities all throughout the year for the entry into the Government jobs depending on the eligibility criteria. Some of the Examinations being conducted twice each year ensures all the aspirants get enough of the opportunities to clear the examinations and get the jobs of their choice. With the Notifications coming much ahead of time of the examination ensures they get sufficient time to the preparation of the examinations. 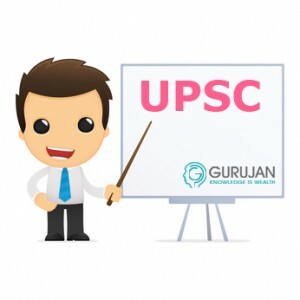 And the most important point in the conduct of the examinations by UPSC are that all of the examinations are conducted at the fixed schedule. Thus, students can have the proper planning on which exam to concentrate on.